Have you ever found yourself struggling with your App Store Optimization strategy? Are you aware of the latest changes in the two major app stores? Do you know the impact they impact they have on your ASO strategy? Would you like to find out the best tips from the best ASO International Experts? Seen and heard 😉 On June 21st, TheTool is hosting a FREE live ASO Roundup! Online ASO Roundup – Join us! TheTool ASO Roundup – Bring all your doubts! As you know, at TheTool, we love ASO and that’s why we are always looking for new effective ways to help everyone keep up with their ASO strategies in order to get more downloads. 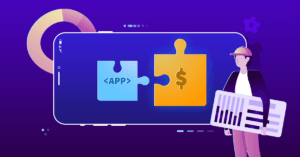 App Store Optimization has evolved and changed a lot throughout the last years and nowadays we can claim that ASO is a must for every app marketer or developer. Newest updates in the major app stores and their impact on ASO. The main Conversion Rate ASO elements. PRO ASO tips for mobile apps and games. Personal experiences from the experts. Join us and you will get to learn much more! Ekaterina Petrakova is Mobile Mobile Marketing Manager and leads most of apps and mobile marketing initiatives across Rocket Internet. Besides focusing on apps, she is involved in SEA which feeds on her passion for Online Marketing on both mobile and desktop. Ilia Kukharev works at AppFollow, a company that offers service for reviews / ranks / keywords monitoring with integrations to Slack and dozens of other systems. Currently, Ilia is involved in ASO & Localization, before ASO he was a freelance translator, including SEO texts – this helped him a lot to find out how to do right keyword research. Georgina Palau started out her Marketing career as a Content and Customer Intelligence Manager. Later on as part of her MSc, she took part in a Marketing Project for eCooltra by helping them develop their Marketing Plan. Currently she is an ASO Specialist at PickASO for already a year. Luca Giacomel is a data scientist with a strong interest for product growth. Currently he works for Bending Spoons as a data scientist who is also in charge of ASO and UA as bringing his quantitative knowledge and ASO together has become his obsession. Peter Fodor is the founder & CEO of AppAgent, mobile marketing experts for hire working for Malwarebytes, Kiwi.com, Pixonic and Starbreeze. He’s annoyingly passionate about all parts of growing the apps. Therefore, his team is glad he’s mostly busy with new business, company strategy and trend spotting. Remember that ASO is a never ending process that helps your mobile app or game gain visibility in the app stores and that therefore leads to improve Conversion Rate to Install. There are many elements that can have an effect on ASO and, at the same time, you also need to consider the constant changes in the main stores. Not an easy task, is it? To make this easier for you we have decided to host a live roundup in which top international ASO experts will share their best tips and insights. Don’t miss the chance to participate in this ASO Roundup. This ASO roundup was a complete success. Find the video and full transcription here!